The site forms a gap in the townscape as the viewer approaches Eighton Banks from the A1 below. Buildings nestle side by side and one above the other as they step up the hillside. There is a full palette of slate, brick, stone, concrete tile and render. Much new building has filled in many of the gap sites. Most buildings face the obvious view over the valley. On a hillside site there is always the danger of overlooking, the proposal however has been sited and designed to minimise overlooking. 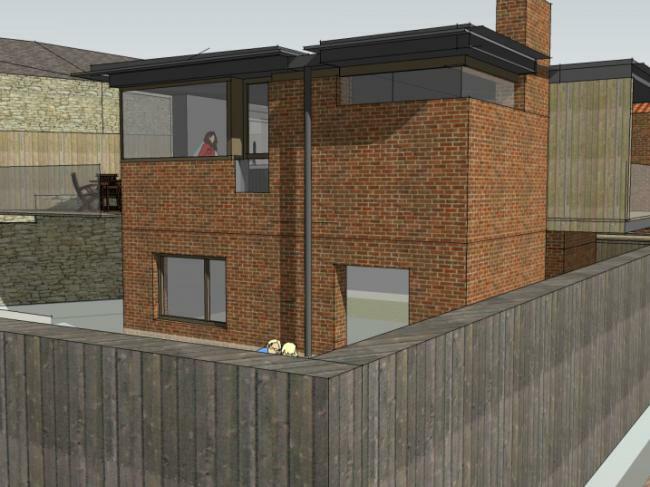 On analysis not presented with the previous application few sites on a slope could be built with such minimal – if any- material overlooking Windows have been positioned to make the most of long distance views whilst avoiding short distance views down into properties below. 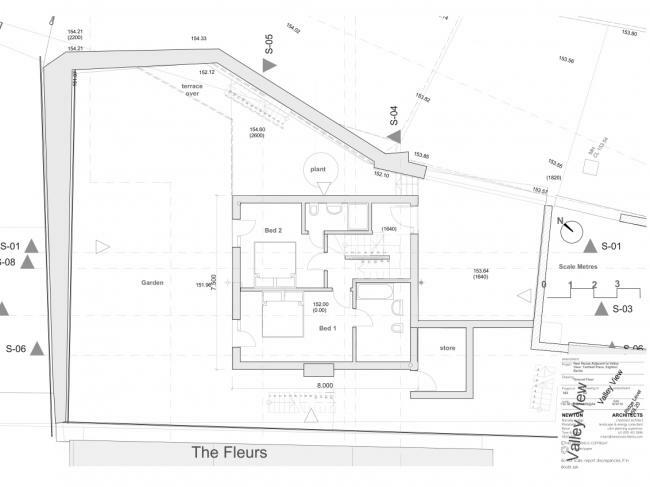 Note: Roof windows to the Fleur Building only light a corridor to the rear of the property. The site faces south, any potential first floor rooms would have panoramic long distance views to the far distance and the horizon. 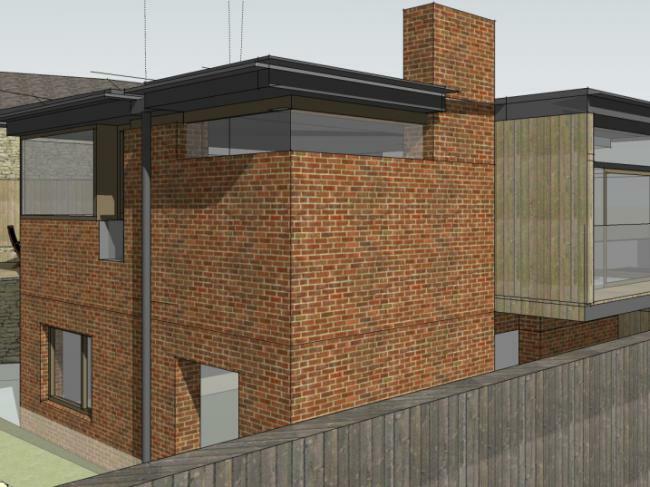 With the topography of the location and the level change across the site, it is possible to reduce the loss of impact on the amenity of neighbouring houses through minimal loss of views and little overlooking. The building has been positioned to the narrow end of the site, leaving views open to the setting sun to the W for residents of Bainbridge buildings. The area was characterised by quarrying in the 19th and early 20th century and earlier stone buildings reflect this. The architecture of the area is very mixed. The 19th and early twentieth century buildings are solid stone built with pitched slate roofs, there are then a mixture of mid to late 20th century houses, generally brick built with clay or slate tile roofs. In the immediate vicinity to the North are Bainbridge buildings which are two storey stone built terrace houses. To either side, late 20th century brick houses with clay tiled roofs. Surrounding these are late 1960’s early 70’s estate houses typical of their era. There is therefore no defining architectural style, all are very much grain buildings, and none outstanding. It is therefore difficult to draw on any of these styles for inspiration. It was felt that any solution should come from the specific site constraints and ‘apeing’ any of the surrounding buildings would not be appropriate. The approach is therefore contemporary, but with a choice of robust materials that do not detract or ‘shout out’ within the overall townscape when viewed in context. The area lacks any overriding style or character, the design therefore instead responds to its site and setting to make the most of what is a spectacular site. 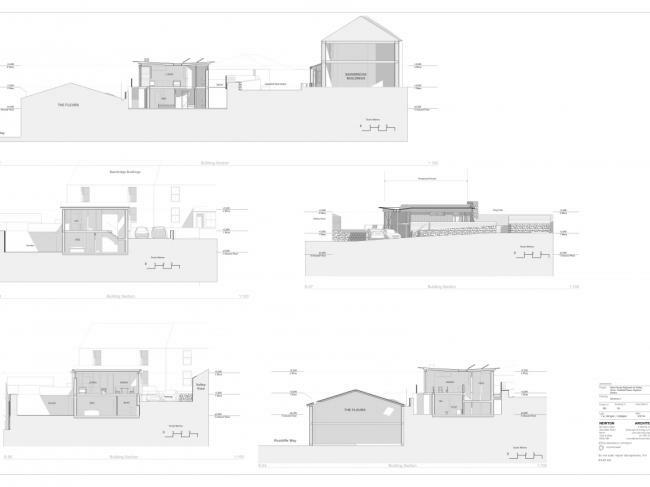 The scheme is designed to work positively with the history of the site, a formed coal loading yard. 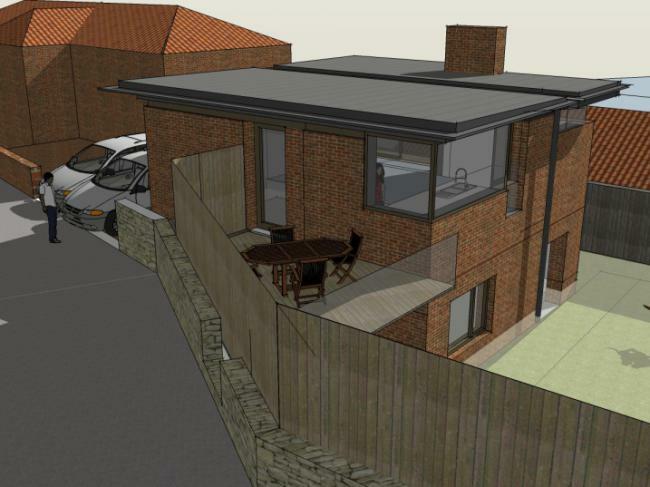 The dramatic change in level which facilitated the loading of the coal governs the design of the scheme, meaning the house is designed to be entered at a half level but only presents a single storey to the neighbours behind. As mentioned the main asset of the development is the site itself. It has the potential for framing breathtaking views. The conundrum which we hope we have solved is to capture these views whilst minimising overlooking and affecting others enjoyment of those views. 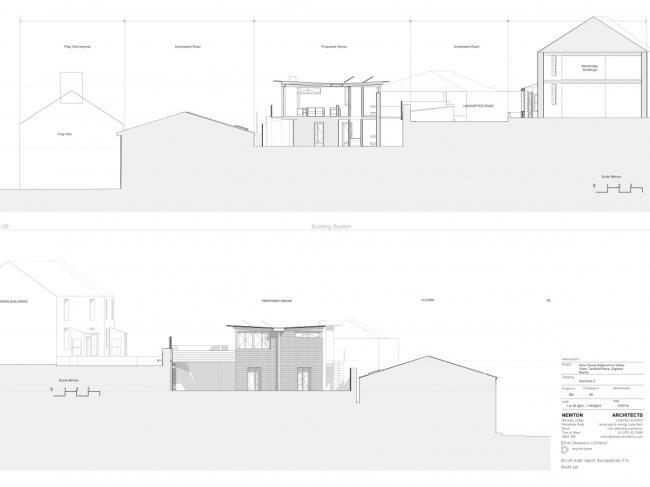 Although contemporary, the scheme is designed to sit quietly on the site and be part of the overall composition of the buildings on the hillside. 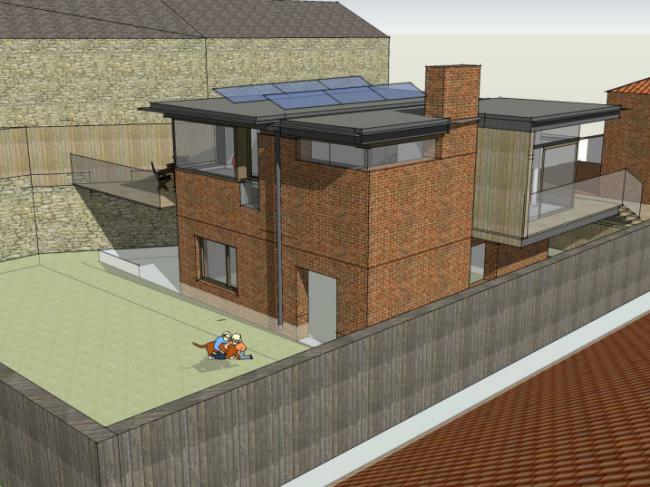 It makes the most of the site without dominating the neighbouring properties. reinforce the built form character of the area? The proposal is a simple rectangle in plan which is tweaked at the corners where windows are pushed out or cut out to frame views. The Form, size and mass of the building mean it does not dominate the scene. As mentioned the design works with the history of the site as a coal yard and the design looks to positively raise the character of the area through design. How does the development relate to the street and areas of public realm? As is evidenced from the earlier photos there is no one architectural style in the wider Eighton Banks area. There are few buildings of any real architectural quality; with a mixture of buildings from early to mid 20th century red brick; earlier 19th century stone; and various styles of 1960s flat and pitched roof buildings. They are unremarkable in their style; to mimic their architecture would not be the correct approach. 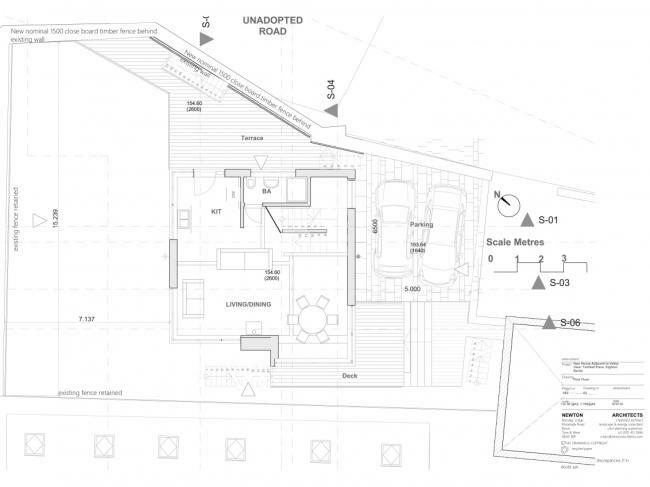 The struggle to define the character of the surroundings has resulted in a very contemporary approach to the design. It is designed to reflect the highest standards in contemporary architecture. 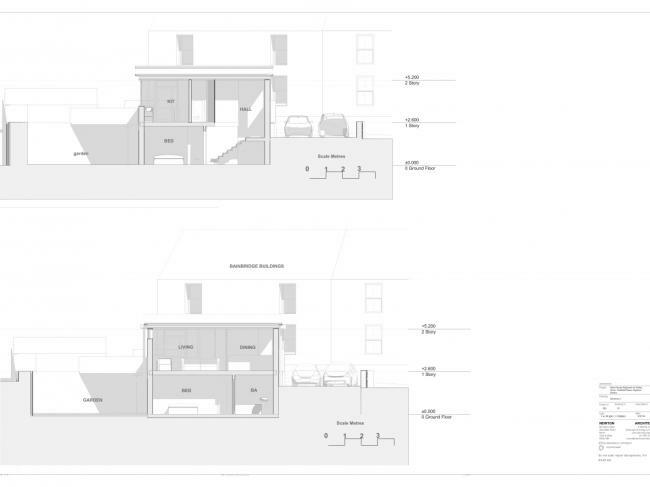 It was though consciously rooted to its locality through its choice of materials and the way it related to the site. 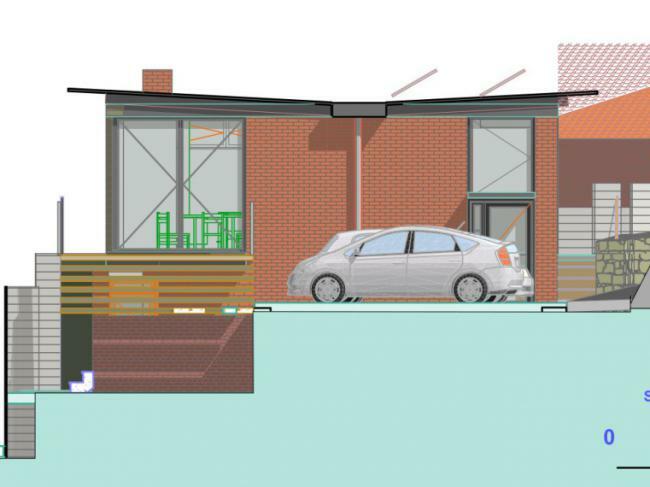 The materials chosen are carefully detailed brickwork which will improve with age, standing seam roofing with sharply detailed roof edges. High performance triple glazed windows and doors.